Hollywood loves nothing so much as copying successes. It's how gladiator, vampire and zombie trends start to run amok. And now that historical action hybrids are all the rage—Sherlock Holmes, The Da Vinci Code, we're looking at you—there's apparently a rush on projects centered on Leonardo DaVinci. Slashfilm's got the scoop here. In a way, the prototypical Renaissance Man could be a great polymath action hero. He may not have been a brawler but he invented amazing contraptions during a time of antiquarian tumult. That's enough for Tinsel Town. It's probably not a coincidence that these projects are finding traction at a time when the Assassin's Creed games have introduced Da Vinci to new audiences via a powerful entertainment medium. 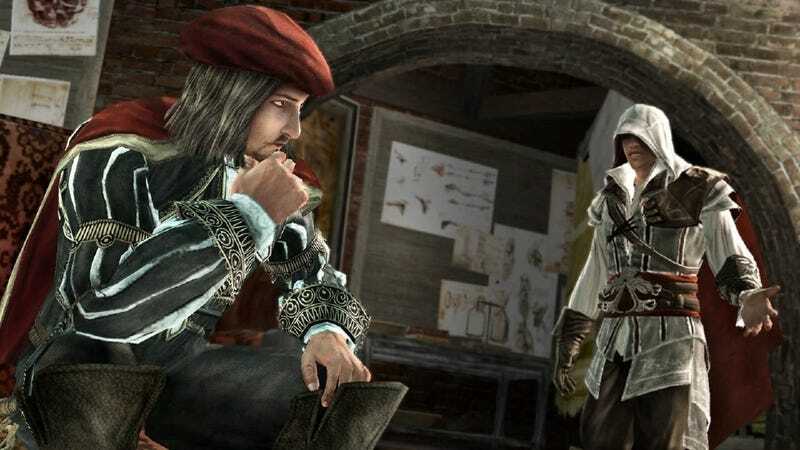 Now, if DaVinci's in the Assassin's Creed movie that's in development, then someone might have to call in the Templars.